Free/Libre Open Source Software (FLOSS) communities as collaborative environments enable the occurrence of learning between participants in these groups. With the increasing interest research on understanding the mechanisms and processes through which learning occurs in FLOSS, there is an imperative to describe these processes. One successful way of doing this is through specification methods. 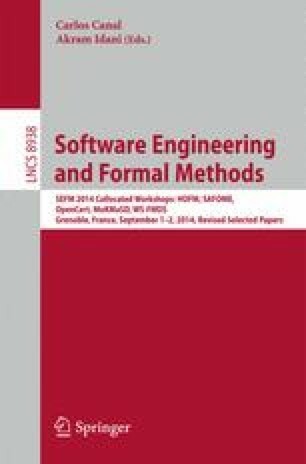 In this paper, we describe the adoption of Abstract States Machines (ASMs) as a specification methodology for the description of learning processes in FLOSS. The goal of this endeavor is to represent the many possible steps and/or activities FLOSS participants go through during interactions that can be categorized as learning processes. Through ASMs, we express learning phases as states while activities that take place before moving from one state to another are expressed as transitions.